There are three things I use to train and equip students for leadership and in particular, for their role in creating a culture of welcome: Required readings, blogging, and weekly evaluations. Today, we’ll explore the first of these methods – required reading. Since student leadership is really about discipleship, we have to build time into our schedule for training student leaders. To this end, my student leadership team meets approximately 6 times over the summer. Because these meetings are focused almost exclusively on training students for their role as leaders, this gives us plenty of time to equip student leaders for their role in establishing a culture of welcome before our program year begins in September. To facilitate this training, I require student leaders to read and discuss a book together. Since a student can be a leader in our ministry for at most three years, I have a three-year cycle of books we use. The first year, we read a book specifically focused on leadership. The second year, we read a book about Jesus, who is the ultimate model of servant leadership. We also read a book about Jesus because student leaders cannot take teens deeper than they are in their own faith. As a result, I want to push student leaders to grow in their faith, even as they help other teens do the same. The third year, we read a book about the church. We do so because as student leaders, I want teens to understand and appreciate the church as well as their role in it. I want them to understand how our youth ministry fits into the bigger church. I also want to challenge them to find a spiritual community long after they “graduate” from our youth ministry. Thought-provoking: Often, this means I don’t agree with everything the author says. However, disagreements with an author’s opinion or even with their theology make for great discussion fodder. Such discussions expose teens to other viewpoints and give them the opportunity to really wrestle with faith-related issues. Accessible / Relatable: As you can see from the list of books I’ve used with my teens (below), most are not specifically geared to teens. Yet, all are accessible for them. To that end, I’ve found that teens relate best to memoir – to seeing and encountering God through another person’s story. Reasonable length: I won’t give teens a 500 page book on the theology of the church. Instead, I tend to choose books that are 200 pages or less. I then divide the book up between our six summer meetings so that by the time school starts, teens will be done with their required leadership reading. Applicable to leadership: Clearly, the books we read and discuss about Jesus and the church are not as obviously tied to student leadership as the book specifically about leadership. But by selectively choosing books about Jesus and the church, I can pull nuggets from them that relate to our broader topic. I then tailor each meeting’s discussion so that we not only talk about the book, but we do so in a way that specifically pertains to a teen’s role as a student leader in our ministry. Trust me. Regardless of what book you choose to read with student leaders, they’ll initially moan and groan about having to do so. But I’ve lost track of how many teens have told me – years later – just how much a particular book that we discussed in leadership influenced them. What I’ve found is that well-chosen books help student leaders to actively engage in discussions about their faith and leadership and in the process, grow in incredible ways in both areas of their lives. Student Leadership Team Basics: How many leaders should you have? 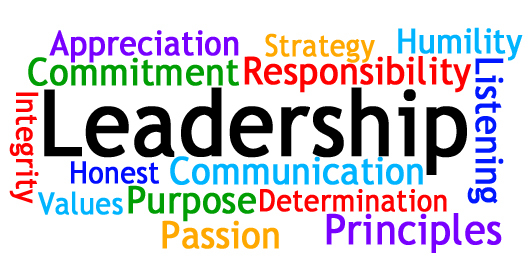 Student Leadership Team Basics: Why? Jen serves as the Minister of Youth and Family at Atonement Lutheran Church in Barrington, IL. Jen is the author of A Mission that Matters (Abingdon Press), Unleashing the Hidden Potential of Your Student Leaders (Abingdon Press), The Jesus Gap: What Teens Actually Believe about Jesus and the corresponding student devotional, The Real Jesus (The Youth Cartel). Her writing has also appeared in YouthWorker Journal, Immerse, and The Christian Century. When not doing ministry, she and her husband Doug can be found hiking, backpacking, and traveling with their toddler, Hope.